Hey there, folks! Recently we wrote a short preview of a smartwatch called Microwear H2 and if you’ve liked it or you are still in the market for such a device, you will surely be glad to read today’s article. It’s dedicated to its brother Microwear H2. You can check it out over HERE or other Microwear smartwatches HERE. And so we begin with the design of the smartwatch. The Microwear H2 is an elegant device that receives an upgrade of almost every aspect of the Microwear H1. This bad boy comes in three color options – black, silver and rose gold. We must note that these colors are applied only to particular elements of the main body. You also get a 1.40-inch AMOLED capacitive display with 400 x 400p resolution. Additionally, the Microwear H2 sports the quad-core MediaTek MTK6580 an upgrade over the MTK6572A chip in its smaller brother. It also has twice the RAM capacity of the H1 – 1GB vs 512MB. Also notable is the fact that you get Android 5.0 vs Android 4.4 KitKat in the H1. 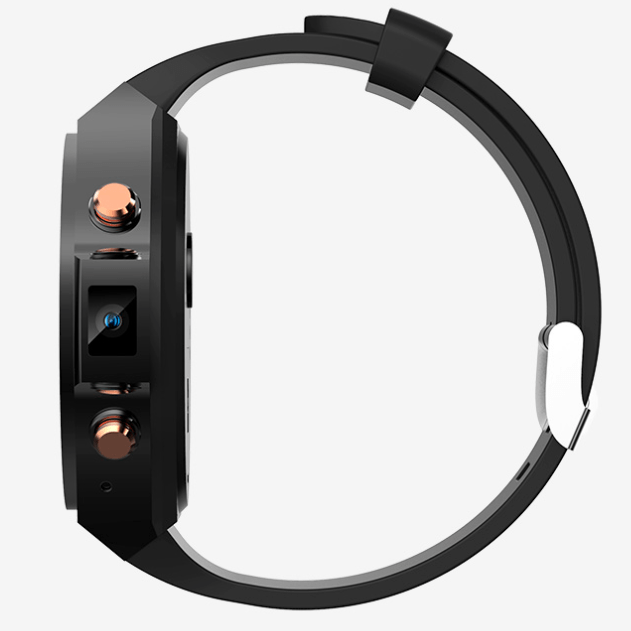 It offers a simple and functional user interface that doesn’t slow down the watch. The Microwear H2 boasts a 5MP camera positioned on one of its sides. It is quite discrete and allows you to capture better quality shots than that of the H1. Of course, for today’s standards 5MP is not much but is still good to have. In the very same way as Microwear H1, the H2 is a standalone smartwatch. It is not a tethering device that can be used to direct the phone calls and messages from your smartphone to it. Not only does it support GSM networks for calling, it also supports WCDMA 3G networks for mobile data which means you can access the Internet from your wrist. Even without the SIM card you can connect with a Wi-Fi network. As it might be expected, you get GPS and Bluetooth for additional features and connectivity such as listening to your favorite songs, provided that you have an appropriate headset. Just like the Microwear H1, the H2 is a great companion for all of you who lead a very active lifestyle. The smartwatch is water-resistant and it carries a number of sensors that will provide you with measurements as to the way your activity has an effect on your body. The Microwear H2 is an excellent fitness tracker. It can track your steps, calories consumed, distance traveled, heart rate etc. Additionally, this watch can monitor your sleep and analyse its quality. What’s more, the device can detect if you’ve been sitting for too much time and urge you to go for a walk. Pretty convenient, isn’t it? Another merit that the Microwear H2 offers is its Anti-Lost function. This will help you locate your watch or smartphone in case you lose them. Also, this bad boy supports many languages.